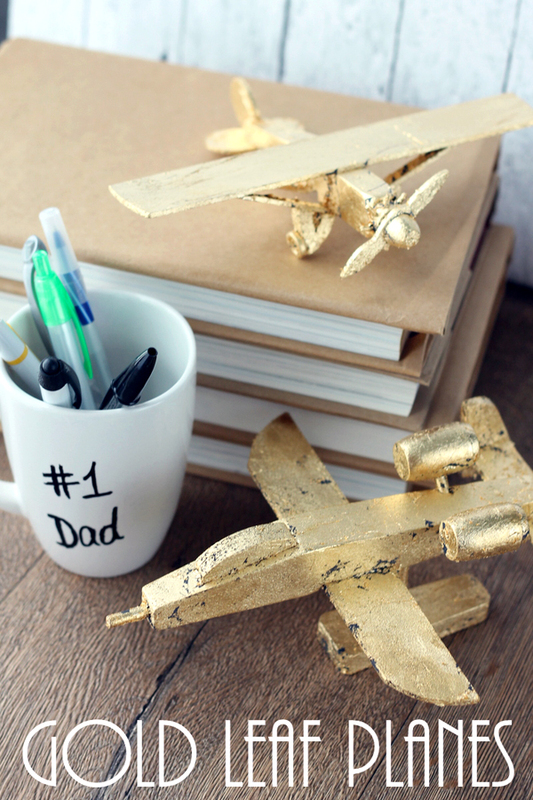 We are kicking off Craft Lightning Father’s Day edition with some gold leaf planes. 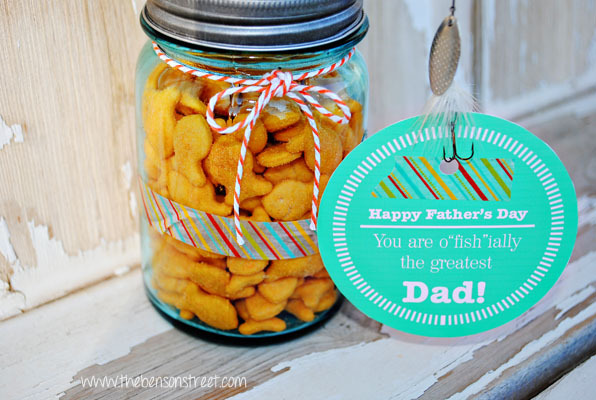 You can make these yourself and they will make a great Father’s Day gift. The kids can even help with this one. You can pick up the supplies and get started on these cute wood planes. Then Dad can display them on his desk once he receives them. I love that they are easy enough for kids to help with yet great enough to display anywhere. If you want more quick and easy handmade Father’s Day gift ideas, be sure to check out our partners for Craft Lightning at the bottom of this post. 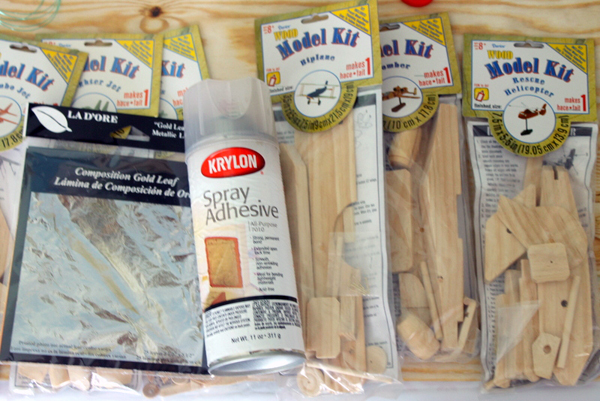 Start by assembling the wood model according to the directions in the packaging. Allow any glue to dry before continuing. Older children can definitely handle the assembly on their own, however, younger ones will need some help. Next paint your entire plane in the color of your choice. I used a dark grey spray paint on my versions. The gold leaf will be imperfect so this color will show through in some areas. Try a color that Dad loves or one that goes in your home. Allow the paint to dry and cure completely before continuing. Next just spray the plane with the spray adhesive (always use this product outdoors!). After just 3 to 4 minutes you can start adding on the gold leaf. You will want to have a dry paint brush to smooth down the thin sheets of gold leaf onto the surface of the plane. You can watch below as I gold leaf one of the planes from start to finish. The gold leaf is definitely something most kids can handle. For younger kids, try adding on the sheets yourself and let them operate the paint brush to smooth it all into place. The leafing is meant to be imperfect so that makes it a perfect project for little hands. 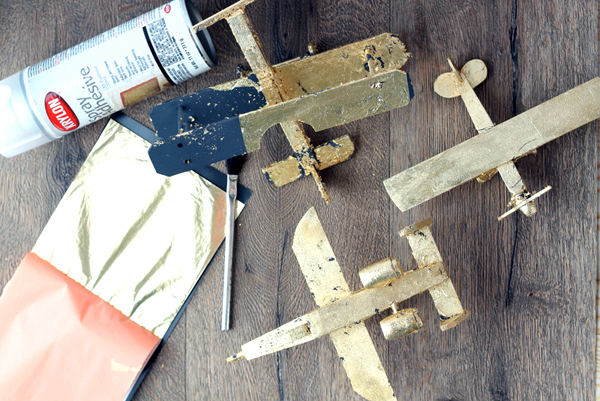 Make your own gold leaf planes as a Father’s Day gift today! Dad will love them and you might even love them being displayed in your home as well! Want more Father’s Day gift ideas? Check out the 15 minute quick crafts from our blog partners below! First up is Ink Happi with the cutest Father’s Day medals! You can print the fun Father’s Day gift file here and get started on your own! Does Dad love to grill? Give him this great grill tool holder! A quick and easy DIY idea from Delicate Construction. You can also give tags a punny gift like the one below from The Benson Street. Print those free Father’s Day gift idea tags here. 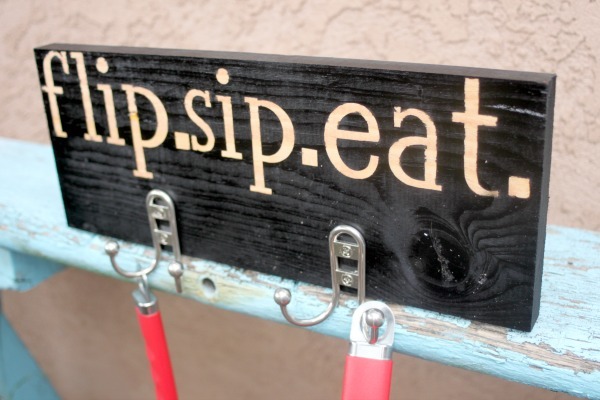 Dad will love this rustic sign from Ribbons and Glue. Want to know how she made those great letters easily? You will be surprised! 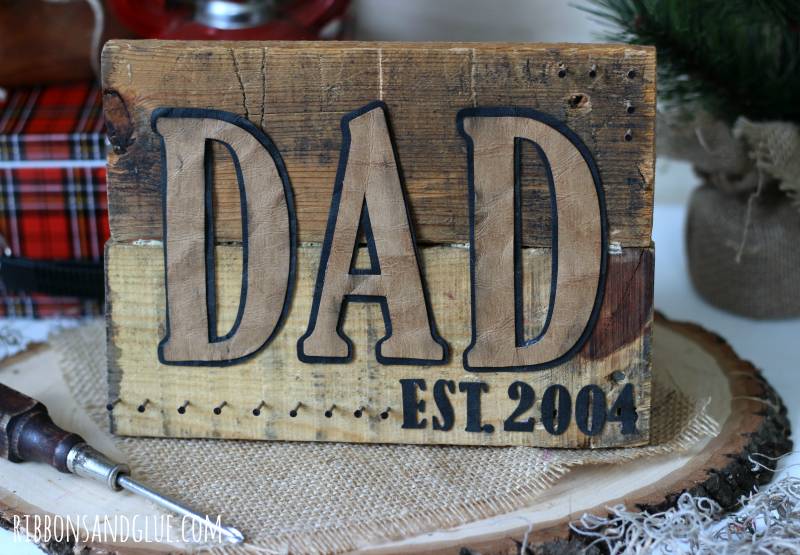 See how to make the great DIY Dad pallet sign here. Dad might also love some beard oil. 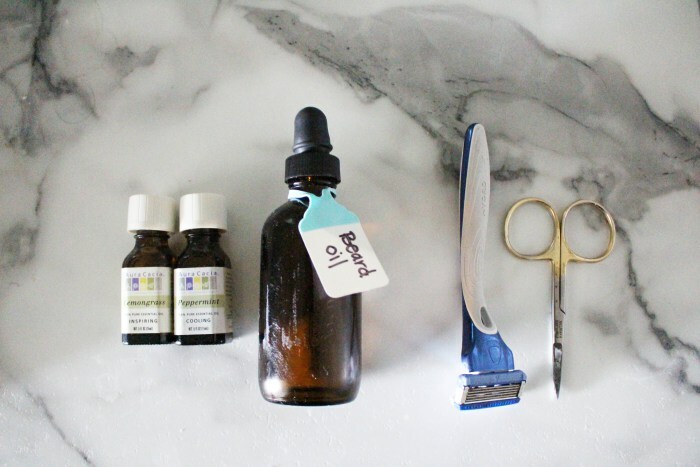 You can see how to make your own beard oil here from Brooklyn Berry Designs. 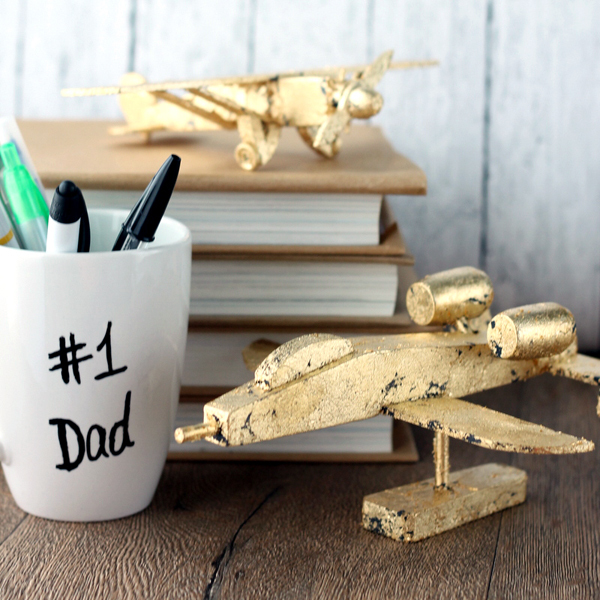 Make your own gold leaf planes or one of these other Father’s Day gift ideas! 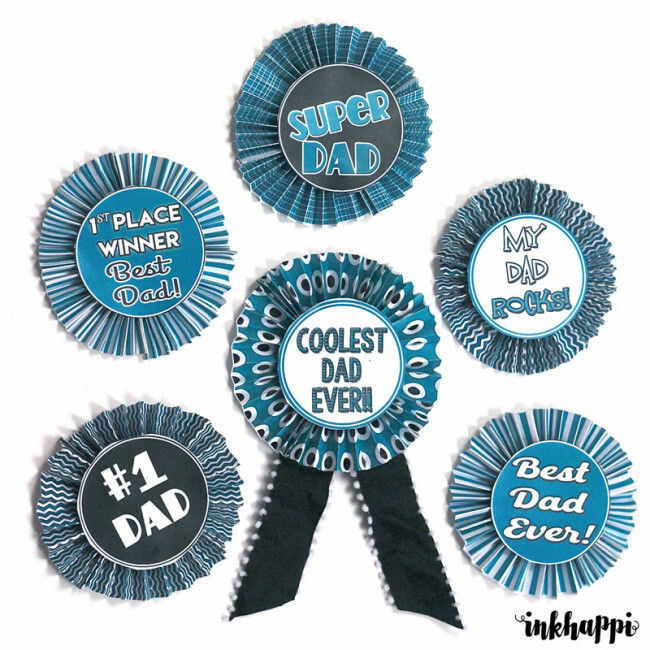 Dad will love the handmade feel and you will love the fact that they are budget friendly! I totally love the airplanes, great idea. Thanks for having me on Craft Lightning!